Quivira National Wildlife Refuge, Kansas. 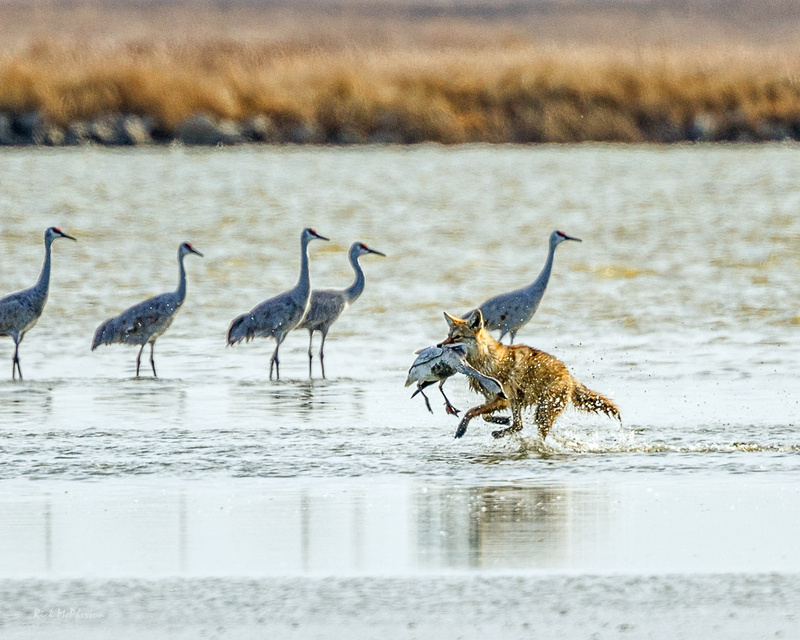 While I was photographing Sandhill cranes, at Quivira National Wildlife refuge, a coyote came out of the tall grass ahead of me and started stalking a wounded snow goose. The cranes separated leaving the goose all alone. A quick sprint through the shallow water and it was all over. The coyote did not notice me until he was on his way back to shore.